The Girls swam a great meet with many best times against the Kings. The 200 IM was a great start with Alaina Simmons and Janet Johnston placing 1st and 2nd. The 50 free was equally as strong with the duo of Anna Borden and Bailey Hays placing 1st and 2nd as well. 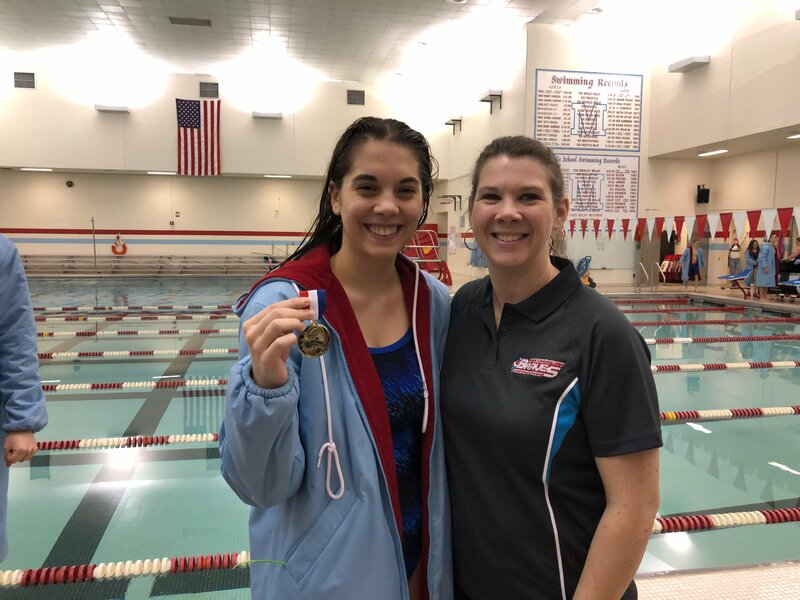 Brooke Borden placed 1st in diving. The 100 Butterfly was a strong event with Abby Shrock, Rachel Little, and Riley Jones placing 1, 2, and 3! Anna Borden had an excellent time in the 100 free with a 57.36. Lydia Jones dropped another 5 seconds in the 500 coming in right behind Alaina Simmons. The 100 backstroke with another strong event with Abby Shrock, Lydia Jones, and Britney Smitley placing 1, 2, 3. The Golden Goggle went to Britney Smitley for always being counted on to perform at a consistent level. As a captain, she can be admired by the underclassman and teaches them to continue to look for improvement.